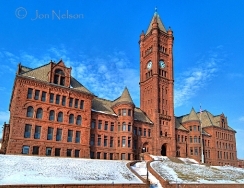 Posted February 15, 2011 in Buildings, Monuments and Miscellaneous Items. 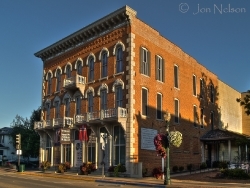 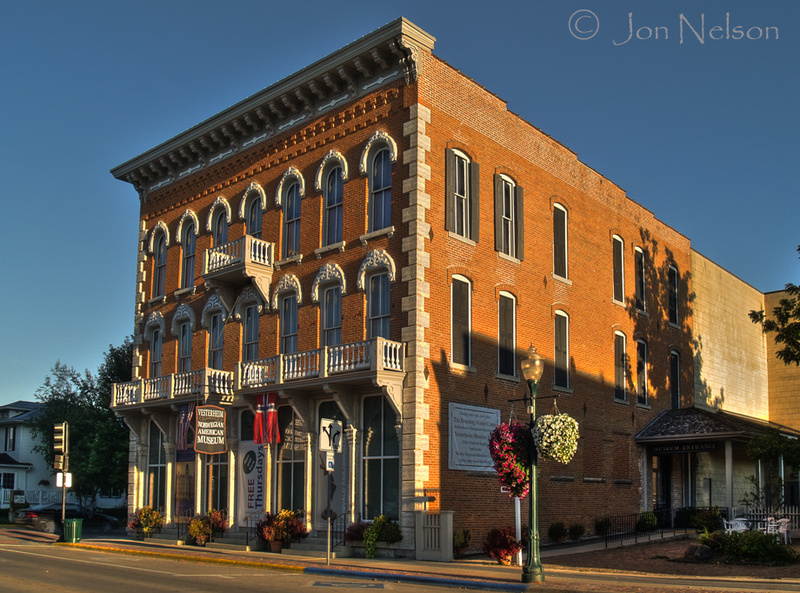 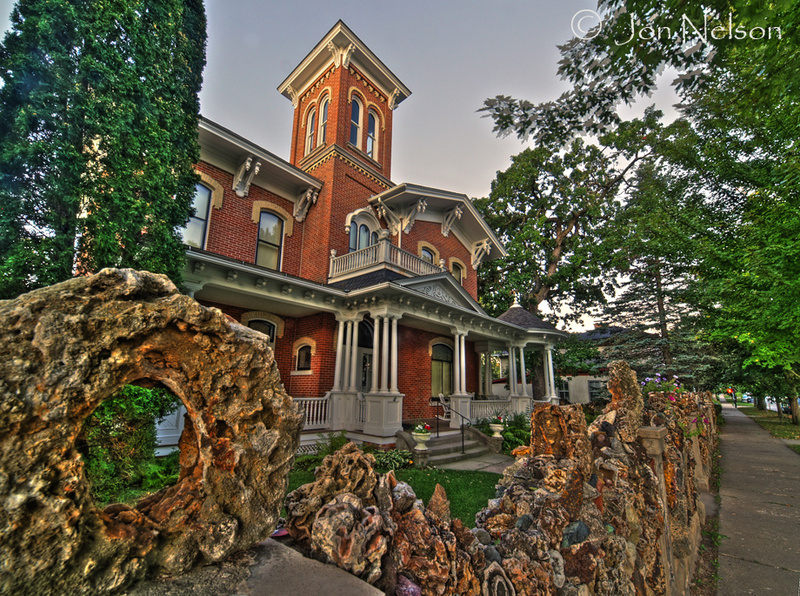 There are many interesting and engaging buildings, bridges and statues in our area and I have attempted to capture some of them in an image. 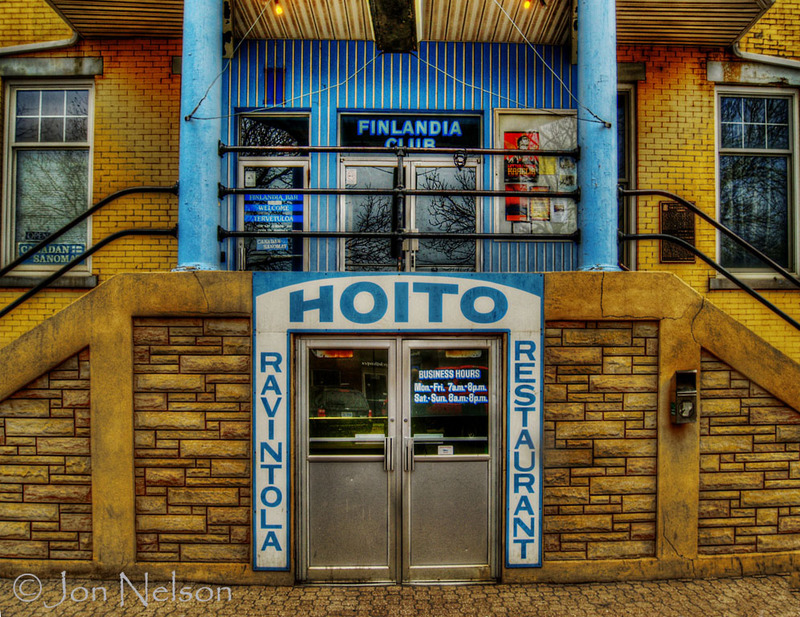 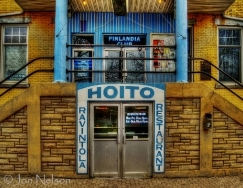 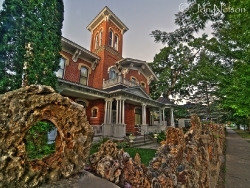 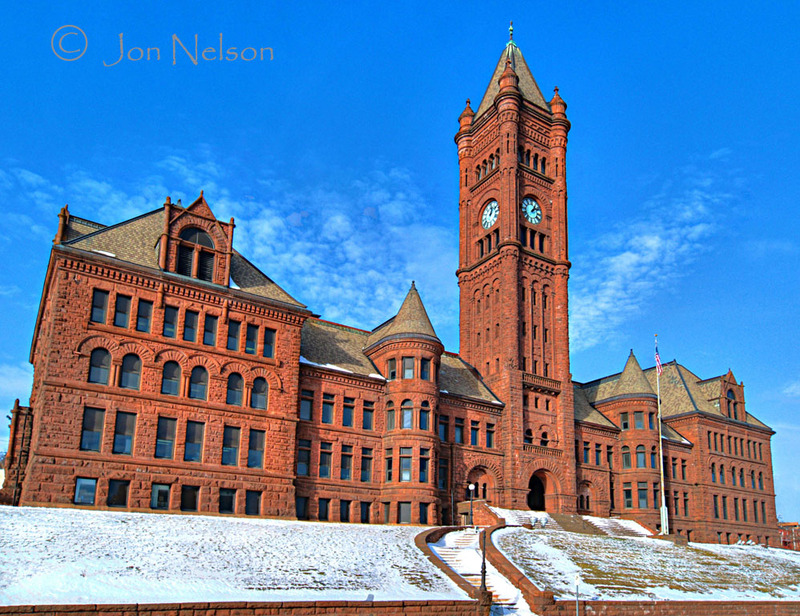 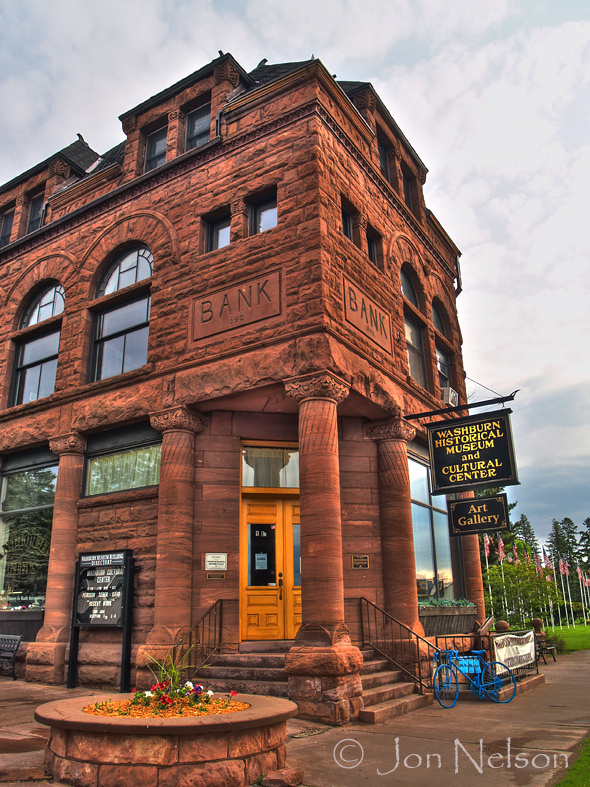 Other images buildings can be found in the Minneapolis and St. Paul in HDR, Images of Thunder Bay and Atikokan Images photo galleries. 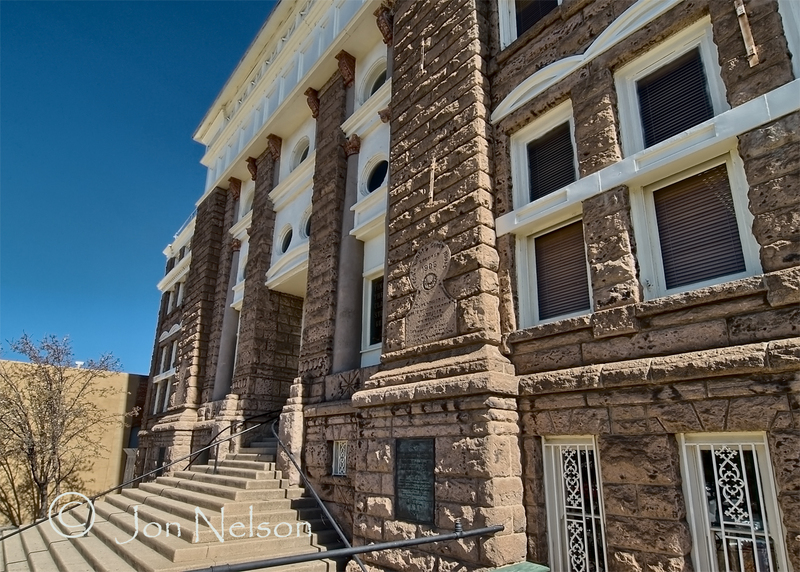 Cobre Valley Center for Arts in Globe, Arizona is located in the old Gila County Courthouse. 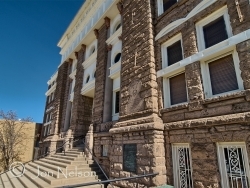 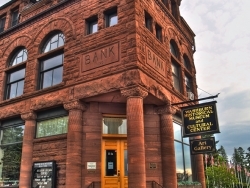 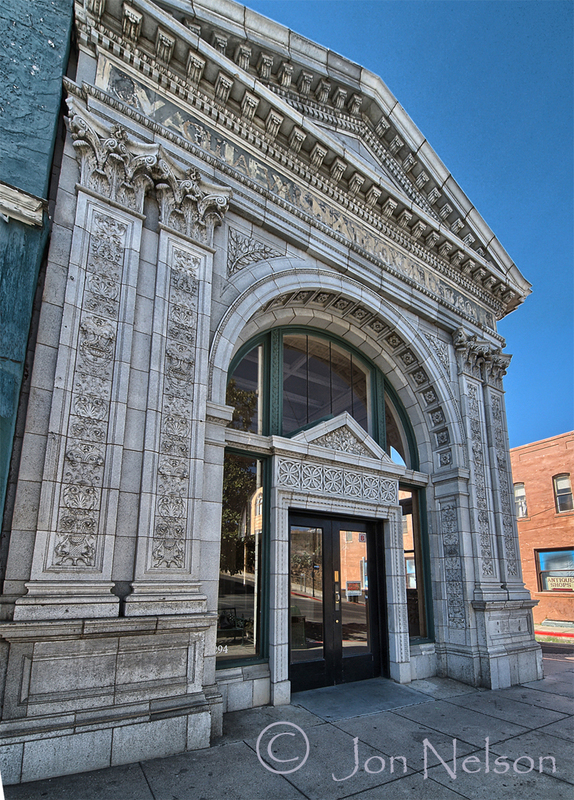 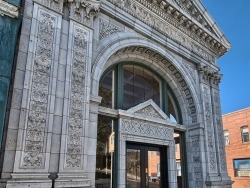 This magnificent Valley National Bank Building in Globe, Arizona now stands empty. 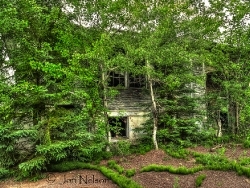 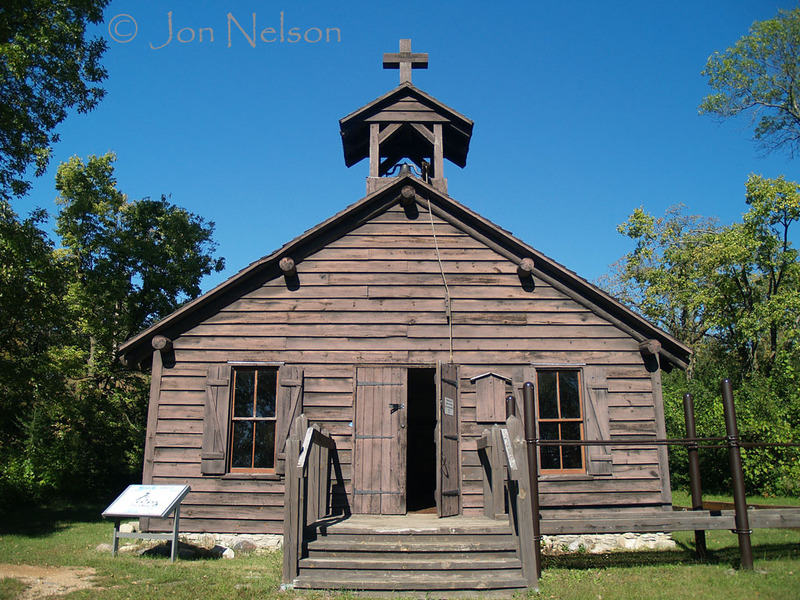 Many memories still linger in this old school near Paynesville, Michigan. 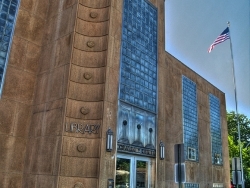 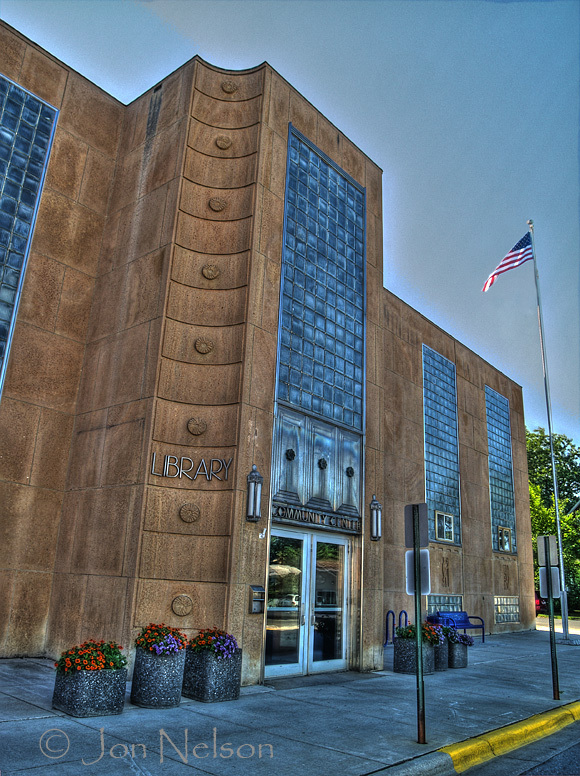 The Ely, Minnesota Community Center is an elegant building that houses the library and has a historical mural by Carl Gawboy. 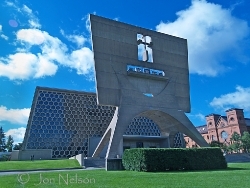 This unique church at Saint Jon's University designed by Marcel Breuer and was completed in 1961. This log church is located a few miles SE of Sunburg, Minnesota. 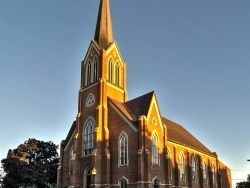 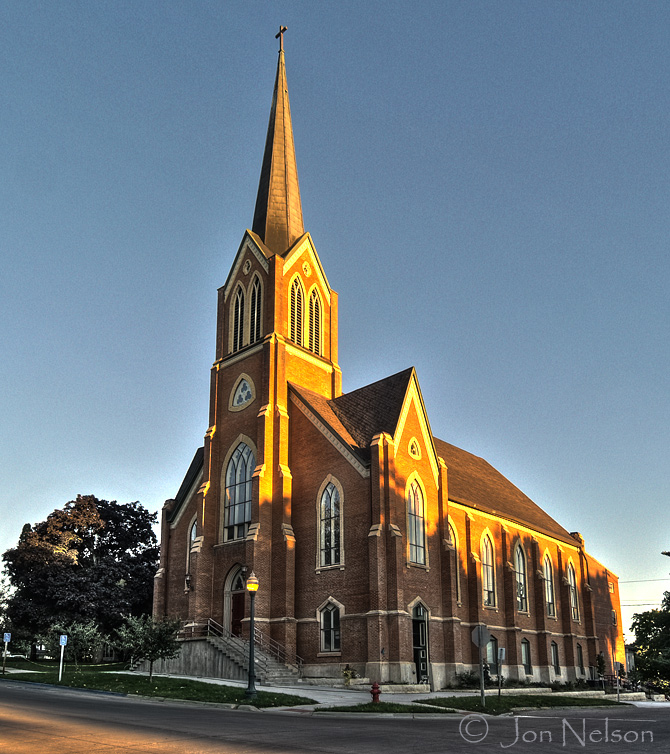 A plaque at the site states that the church was constructed in 1868 and can be considered the "mother church" of the six present day Lutheran churches in the area. 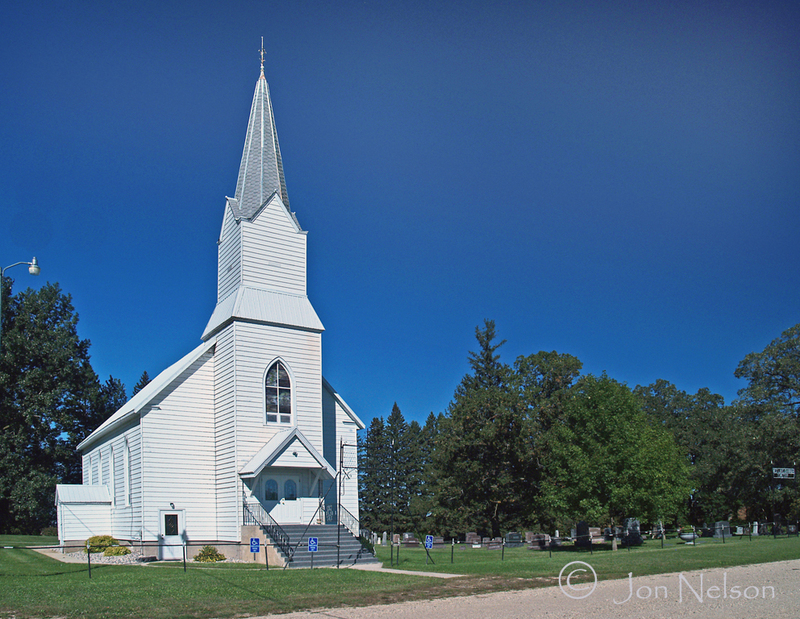 It would be hard not to stop and admire the West Lake Johanna Lutheran Church located near Brooten and Sunburg, Minnesota. 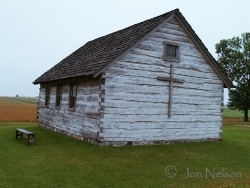 The Lac Qui Parle Mission was established in 1835. 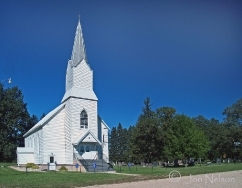 When I was a kid we used to snag carp and buffalo (the fish, we were unable to snag any large mammals other than each other) on the bridge near here.